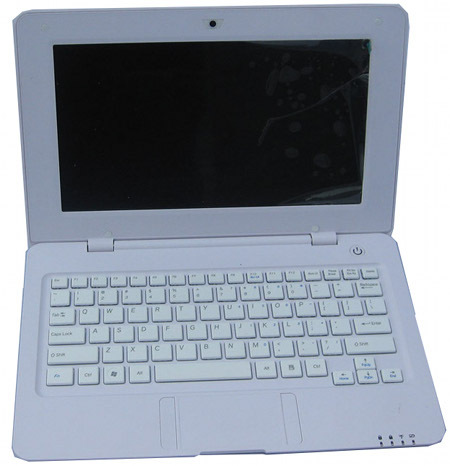 There are quite a number of Android based netbooks in the market but if you are tight of budget and still would like to own one yourself, the recently announced entry level machine by Cherrypal, a Hong Kong based company may be one of your great options. Named as Cherrypal Asia, there are available in two different models with one at seven-inch while the other one at larger 10.1-inch with both running on Android 1.6. If you recall, the company has actually announced a Cherrypal Africa back to the end of last year which was preloaded with Linux and WinCE Operating Systems and it seems that the market trend has triggered the new refresh to a slightly more powerful machine with Android 1.6. As compared to Cherrypal Africa version that stayed at 7-inch, at least now users have option to upgrade to slightly bigger screen at 10.1-inch as similar to most of the standard netbooks in the market. More importantly, the processor has been upgraded with more powerful Via 8505 SoC (System on Chip) clocking at 533MHz (previous version based on 400MHz Samsung S3C2450). Other hardware specifications include a 256MB RAM memory, 2GB on-board NAND flash, an expandable SD card slot with up to 8GB external storage, three USB 2.0 ports, 802.11 b/g WiFi, 10/100 Ethernet port for internet connectivity, a 1.3MP built-in camera and other legacy interfaces like speaker output, mic input and etc. Preloaded with Android 1.6, both the models are already available now at a suggested retail price of $99 and $148 for 7-inch version and 10.1-inch version respectively.